Yesterday, we said not to focus too much on the gold Apple Watch (officially called the “Collection Edition”) the company is due to announce in a couple of hours for one main reason: you most probably can’t afford it. Instead, Apple wants you to focus on the other (more affordable) editions, so that even if the company can’t sell you its most expensive toy, it can still sell you something. The truth is, the gold Apple Watch’s target market is not – and never will be – the United States. Many people have expressed skepticism that Apple might charge $10,000 for a product that is made in, of all places, China. The audacity! But a HSBC analyst The Michael Report talked to earlier today said something very different: Apple is making the gold Apple Watch in China precisely because the company knows that China is where most of their gold Watches are going to be sold. While we may scoff at the pricing of the gold Watch, many in China can’t wait for it: the gold Watch, when released will be the ultimate symbol of status in China. China is a country crazy for anything Apple made, and the statistics prove it: Apple hasn’t been in China for more than half a decade, yet money that comes from Greater China accounts for 22% of the company’s overall revenues. For a company that makes as much revenue as Apple does every year, that’s virtually unprecedented. The “new money” in China (those who make their money from the property boom and stocks) is the perfect target market for the gold Apple Watch: they’re known to flaunt their wealth, love Apple products, but hate accessories that may lump them in the same group as the “old money” (i.e., gold Rolexes). 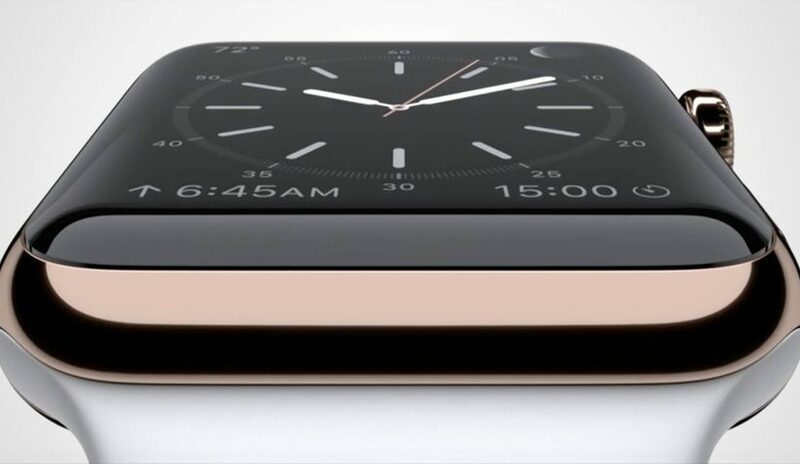 Apple, regardless of what we think of the gold Watch’s pricing, will have absolutely no problem selling them in China. In fact, that might be one of the more important reasons why the Apple Watch is made in China, and not anywhere else – to be as close as possible to the potential customer base. Here’s another interesting point the HSBC analyst we spoke to brought up: when the Apple Watches are finally released in China (assuming that it gets released into China the same time it does into the U.S. market), there will be so many people clamoring for it that there will be a supply shortage. Whoever gets to have an Apple Watch in the first wave of supplies will (most likely) put it on the black market to make some quick profits… but that’s not where it ends. Not in China. Those who get the Watches from the black market will either use it for themselves… or give it away as bribes. Giving an Apple Watch away when no one around you has got one is a very powerful and symbolic act, according to the analyst: it shows deep respect (“you’re more important than me, I can wait”) and gratitude (“you and I both know how hard I have to work to get this Watch because it’s not available anywhere”). So, at the end of the day, it doesn’t matter if the average Joe in America hates the gold Apple Watch – it was never meant for them anyway.